Acupuncture began when the ancient Chinese used the Bian, a (small sharp) stone, or a small sharp animal bone, to gently prick open and/or to press on tender and sensitive areas of the body (now called acupoints) in order to treat and cure illness. Later, following the invention of metallurgy, bronze, iron and silver needles were devised, and came to be used, in China as medical tools in place of the original small stones or bones. In the early stage of the Warring States (475-221 BC) the principle and order of treatment was: application of needles first, then of moxibustion, and finally of herbal decoctions. This period of time also saw the documentation of more and more acupoints and the first articulations of what came to be the system of meridians (energy channels). 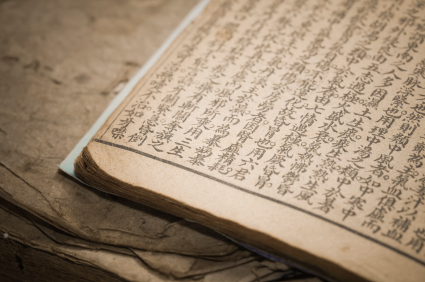 Some of the earliest medical treatises have been unearthed in the Han Tombs (Ma wang dui, of ca. 168 BC) at Changsha in Hunan province. These works contain some of the first recorded references to meridians (described as The Eleven Moxibustion Meridians of the Hands and Legs, and The Eleven Moxibustion Meridians of Yin and Yang). Another important early medical book, written even before the Han Dynasty (206-220 BC), Huang Di’s (the Yellow Emperor’s) Canon of Medicine, recorded the distribution of the twelve meridians, the main acupoints, the size and actions of the nine kinds of needles and their characteristic manipulations, as well as the more general treatment principles and clinical indications and contraindications of acupuncture and moxibustion. Chinese medicine utilizes the theory that there are, running through the body, “invisible” channels and networks which regulate our various physiological systems. Blockage or narrowing within these channels can promote the development of disease.